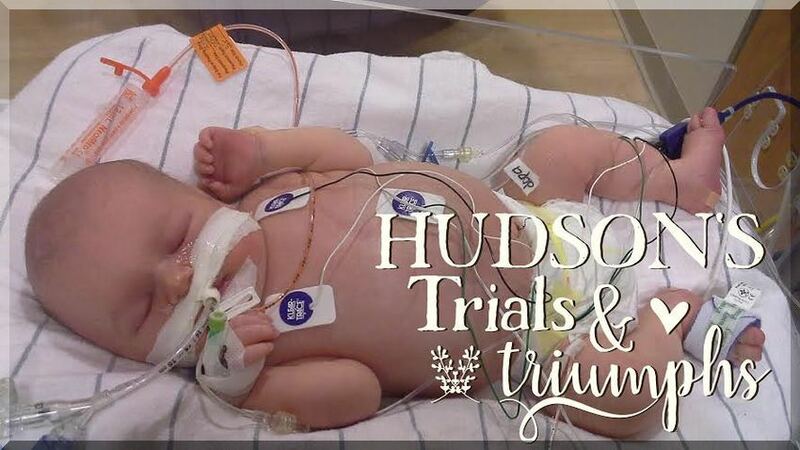 Hudson's Trials and Triumphs : 1 Week Old! We got a good report when we came to see Hudson in that his levels were still being maintained, there were no seizures the previous night so the EEG gets to come off, and the last line in his umbilical cord came out which means they let me hold him! The girls decorated pictures and we got to hang them on his wall. We also brought in a family photo of all of us from Fall 2014 and Alivia drew a photo of our whole family with Hudson in it that I also put in a picture frame. I also brought in some books for us to read to him. While holding Hudson I read to him Brown Bear Brown Bear, How Do Dinosaurs Say Good Night, and a book about trucks. We met with 2 kidney doctors and talked about the possible option of dialysis. It seems like the type of dialysis that Hudson would be a candidate for is called Peritoneal Dialysis. They talked about the kidneys and how they worked and how dialysis does the work of the kidneys. 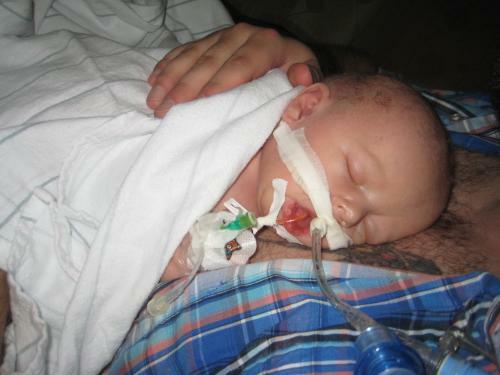 They told us what it would be like if Hudson were on this type of dialysis. 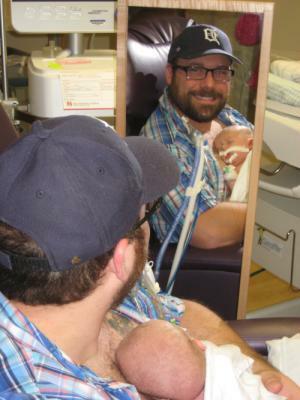 The good news was that if all went well and Hudson responded well to this dialysis in time he would be able to come home and Bryan and I would learn how to care for him. In summary, this Peritoneal Dialysis would take place at night. We would hook him up at bedtime and it would run while he sleeps and disconnect it in the morning. While it sounds do-able it is actually quite complex and he would be very at risk for infection. But since dialysis seems to be our only option of course we would consider it for our Huddy Buddy. We are not the chooser of life and we believe God has given us doctors and medicine as agents of healing (his common grace to mankind). Since I (Jessica) am not a fan of biology I feel like I need to go out and buy a textbook and learn all things about kidneys! I know nothing about them! And kidney failure in infants is extremely rare. Only about 40 kids in all of Indiana are known to be in some sort of kidney failure and the doctor mentioned world wide only about 3,500 cases are known of pediatric kidney failure. Not that many as most of the cases are in adults. And we are so thankful to be here at Riley where there is a team of 5 kidney doctors. After all these meetings mommy got her snuggle time in with Hudson. It feels so right and so perfect holding Hudson. It feels like time just flies during snuggle time and yet it was almost 2 hours of holding him. My heart just melts and I just love reading, singing, and praying for him just like I do with the girls at home. Today (3/21) was another busy day meeting more doctors and filling out more paperwork, but WOW was it a hard day. My emotions were flowing as they sat us down in a room of 5 different nurses and doctors. I was trying to be hopeful but it certainly felt like I was sitting in the principle's office. I couldn't breath and there was a lump in my throat. We met with the neurologist (Dr. Harris) and some pediatric doctor I think (Dr. Lemons) as they told us they are classifying Hudson as having severe brain damage with encephalitis due to lack of oxygen at birth. Those big words mixed with the verbiage of hospice care shortly after were just too much for this momma. My heart just broke as I simply didn't know how seriously hurt our Hudson truly is. After looking at his MRI's and the EEG he just had (which thankfully had no seizures) they said he just has too many pockets of damage to his brain and no one knows the long term affects. 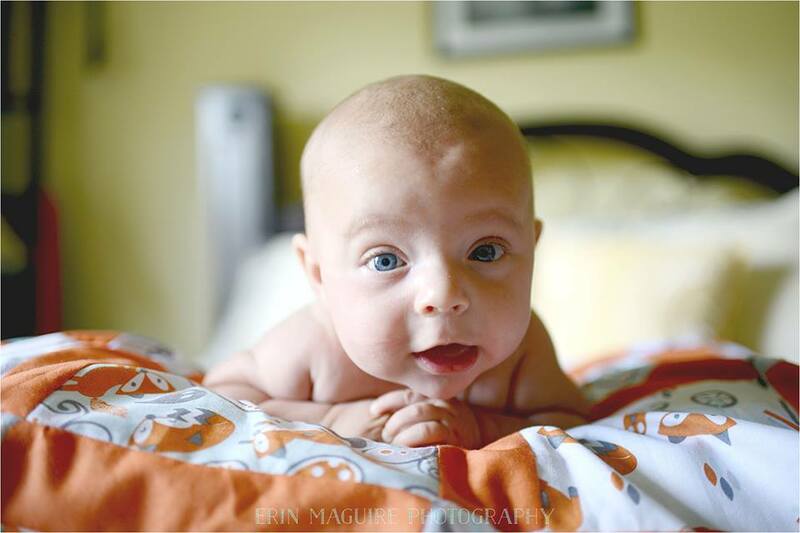 While he is showing us lots of reflexes like responds to light, opens eyes, grasps hands, all things a 36 week baby would do those are all easy brain concepts. The hard brain concepts are like eating, swallowing/sucking, hearing, seeing, walking, etc. No one knows if Hudson will do those things and they won't know unless he isn't meeting milestones. After just trying to digest all the kidney talk from the night before it was such a blow. His poor little body really was deprived of oxygen for an amount of time no one knows. Was it a long period of time with little oxygen or a short period of time with no oxygen no one can say. My heart just hurts for how hard Hudson is fighting and I am SO proud of him. He simply amazes me. We did get to see him peek 1 eye open yesterday and he grasped mommy's finger for the first time. 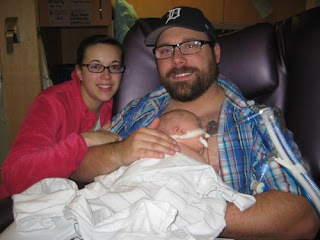 Oh and Daddy got to hold Hudson for the very first time! So then as we were leaving a surgeon walks in and starts talking about inserting a catheter into Hudson for the next day. I was like wait! I'm not ready for this! This is just too much info to process in one day! Thankfully after some discussion it was determined that his levels were still ok so there was no need try to squeeze him in. His surgery can be scheduled for the following day. So yes, Bryan and I went home with such heavy hearts.